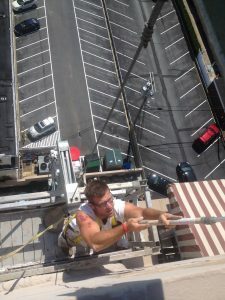 Many contractors will do ladder and some lift work, but only the bravest will do true high aerial work. We have several teams of highly trained expert painters that are certified in swing stage operations. 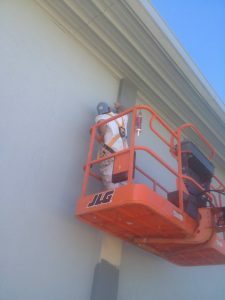 These men will hang off the side of your building to paint and waterproof any exterior surface. Contact us for a FREE estimate! DJ's Painting can offer your industrial facility more than just paint. DJ's Painting can offer systems that will keep hot surfaces cool to the touch, saving energy costs for your business. Contact DJ's Painting today to find out about this system and many other options to have your facility running and looking its best. 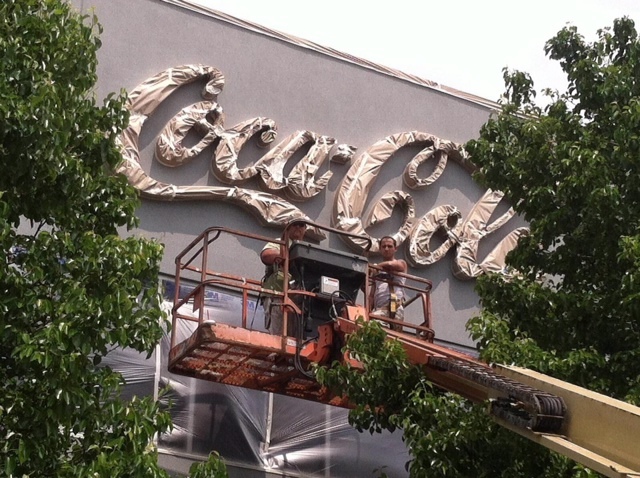 DJ's Painting has been making local businesses in South Jersey look their best for over 25 years. Not only can DJ's Painting paint your interior and exterior of your facility, but we can also also install epoxy floor coatings and waterproof your building to keep your business looking its best. We are certified applicators of the concrete protector floor coating systems makers of the incredible Perma-flex system. We also work with several other manufacturers of standard high-quality epoxy and urethane floor coatings and stains. We will assess your needs for results. 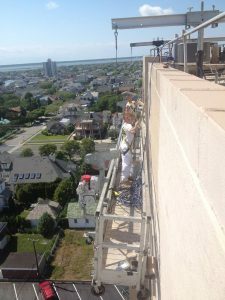 DJ's Painting has been South Jersey's Home Painter since 1986. Having painted thousands of homes in New Jersey including log cabin staining, DJ's Painting is the only choice when you want your home to look brand new again. We have the experience needed to get the job done right. Complete List of Services and Service Areas!